With galleries attending over half a dozen art fairs a year, on-the-go access to inventory is essential. Use galleryManager wherever you go—on a computer or any mobile device to present a curated selection of inventory and so much more. Developed by exhibit-E, galleryManager is an online inventory management system for your gallery, accessible from any computer or mobile device with internet access. The system was designed to be intuitive and user-friendly. It is a highly secure online system that has been thoroughly Beta tested by ADAA Member galleries. galleryManager developed from the idea that we could reduce the headaches that we found many of our clients experienced with their old inventory management software. Designed to replace those systems, galleryManager is a Web-based solution for tracking everything from contacts and transactions to artwork, invoices, purchase orders and much more, and it is accessible online from any computer or mobile device with internet access. The size and turnover of gallery staff demands simplicity of technology and quick and easy training. Galleries want a system that does not require taking courses to understand, and a mobile system that allows access to their most important assets when traveling. 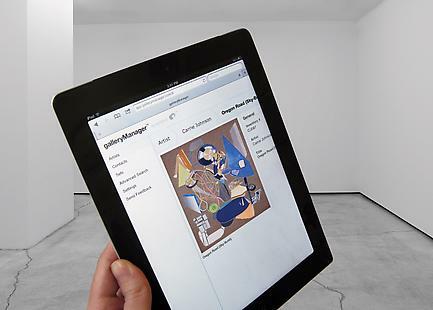 galleryManager is a fast, secure, and easy to use system customized for art world Users. galleryManager gives you the ability to create sets for exporting multiple artworks to a loan, consignment, sale, or checklist. In the Fall of 2016 we will be announcing the release of galleryManager 2.0. With 2.0 galleryManager will be even better—more responsive, more intuitive, and more flexible. With over one hundred feature enhancements, a complete design overhaul, and an all-new platform that allows for seamless integration with exhibit-E websites and mobile apps. If you are an existing customer your upgrade to 2.0 will be free. Visit the galleryManager website and activate your account today! 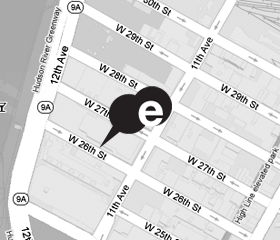 If you have any questions email us at support@exhibit-e.com, or call us at 212 625 9910, we would love to hear from you. Eliminating complexity while providing a robust tool for gallery management is the core of galleryManager’s philosophy.